CrossCore® Rotational Bodyweight Training™ for group fitness training, performance training and rehabilitation. Between Mad Dogg Athletics and CrossCore®, this strategic alliance will enable CrossCore®, pioneers of suspended Rotational Bodyweight Training™ products, including the CrossCore180® and War Machine®, and Rotational Bodyweight Training™ programs to achieve significant goals in design, engineering, manufacturing, marketing, education, and cost efficiencies. Mad Dogg Athletics, the world’s largest equipment-based education company, and home of Spinning®, Peak Pilates®, Resist-A-Ball®, and Bodyblade® brands, will expand its reach to strategically compliment the many functional fitness areas that CrossCore® offers. The combination of Mad Dogg Athletics and CrossCore® will create unprecedented opportunities in the fitness industry. CrossCore’s patented rotational pulley system has quickly earned the respect of elite athletes, clubs and gyms, military installations, and collegiate fitness regimens globally. CrossCore® is a fitness industry first to evolve the 2-Dimensional concept offered by bodyweight training strap systems by replacing those straps with a 3-Dimensional rotational pulley and ropes system. 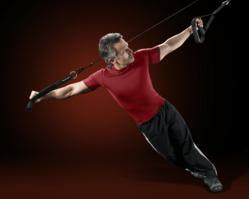 CrossCore’s locking and unlocking system allows for users to exercise with or without rotation. It greatly increases versatility and is an industry game changer for performance training, group fitness and many other fitness and rehabilitative segments. Mad Dogg Athletics brings extensive experience in fitness education to CrossCore® Rotational Bodyweight Training™ or "CrossCore® RBT™. This innovative exercise program allows users to incorporate natural and rotational movement while performing bodyweight exercises. Rotation is a necessary component of truly effective suspended bodyweight training and of tri-planar movement. Rotation makes it possible to mimic the moves involved in a sport, occupation or everyday life for maximum results. And rotational, 3-Dimensional movement is crucial in properly strengthening the core and preventing injuries in other parts of the body. “Over the past year, we have watched CrossCore® develop and grow the Rotational Bodyweight Training™ market around the world. They have a terrific product, a solid and tested business plan, and are rapidly proving the success of that plan. Mad Dogg Athletics can effectively help CrossCore® grow its business by achieving great milestones in design, product supply, distribution and benefit from our success in fitness education. We look forward to working together to create great opportunities in the fitness marketplace around the world,” said John Baudhuin, Chief Executive Officer of Mad Dogg Athletics, Inc.
About Mad Dogg Athletics, Inc.
Mad Dogg Athletics, Inc. - Home of the Spinning®, Peak Pilates®, Resist-A-Ball®, and Bodyblade® brands, Mad Dogg Athletics is the world’s largest equipment-based education company. Mad Dogg Athletics has trained over 200,000 instructors and has reached millions of enthusiasts in over 80 countries worldwide through a network of over 35,000 fitness facilities. The company manufactures home Spinner® bikes, Pilates and functional training equipment, DVDs, and a complete line of Spinning-branded apparel and accessories. Mad Dogg Athletics also works closely with Star Trac®, who is the licensed distributor of the patented line of Spinner® bikes for the commercial market. 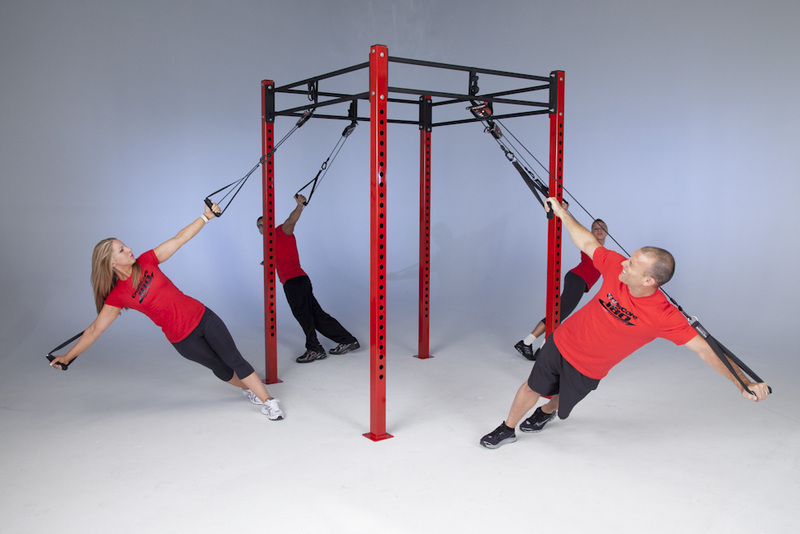 CrossCore, Inc. is a manufacturer of advanced Rotational Bodyweight Training™ products and accessories. 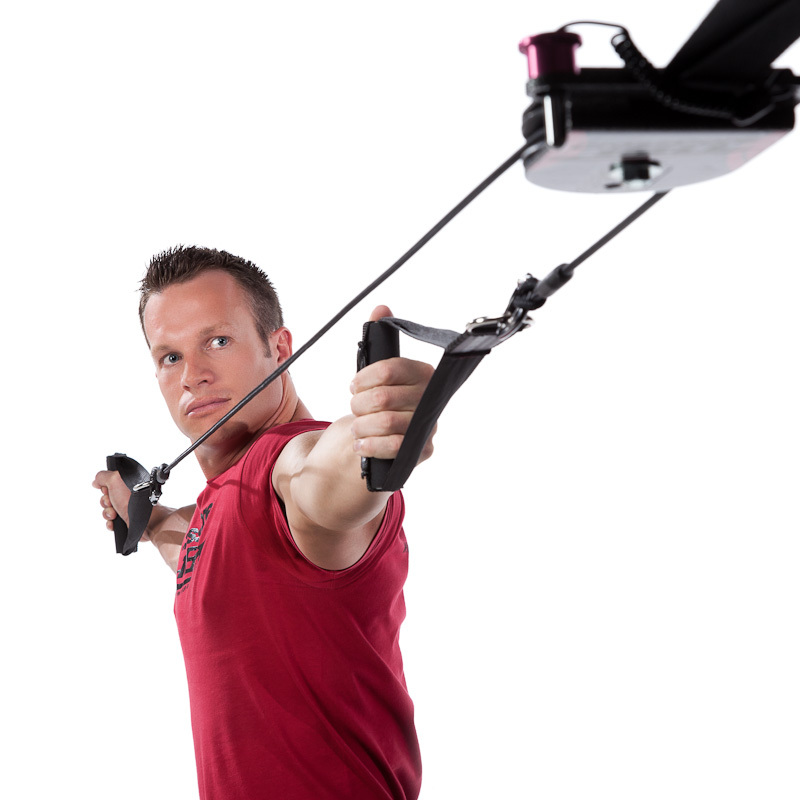 Its one-of-a kind patented pulley system adds rotational movements to continuously engage the core and the entire body to create highly effective training techniques. Additionally, CrossCore® products offer high versatility in fitness training with the addition of accessories including modular training racks and attachment straps for kettlebells, gymnastic rings, and sandbags to deliver peak conditioning opportunities. CrossCore® allows all levels and ages of users- fitness enthusiasts, sports performance athletes, military personnel, mixed martial artists and more- to safely challenge themselves and to actively grow their fitness goals. CrossCore’s rotate to engage products are distributed in the U.S. and Internationally.